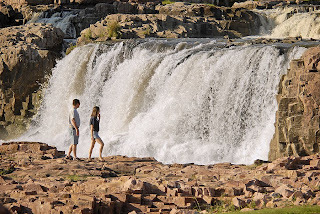 The Falls of the Big Sioux River in southeastern South Dakota provide the namesake for the city of Sioux Falls, a beautiful city park, and a great spot to take photos. 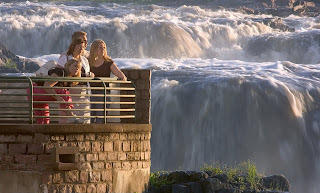 Located right in the heart of the city at the north end of Phillips Avenue, Falls Park encompasses the several cascades that make up the falls, a viewing tower, biking/walking paths, a cafe, a summer laser show and a horsebarn converted into an art gallery. Of course, the waterfalls are the main attraction here. Generally, light hits the falls in the mornings, but early sunrise is hidden behind buildings and the river bank, so mid-morning is just fine. A tripod and varying slow shutter speeds can give just the right amount of blur to the water. Walking on the rocks surrounding the falls provides many different angles to shoot from, but can be slippery. Be very careful here! More than one person has been swept into the swirling waters and not survived. 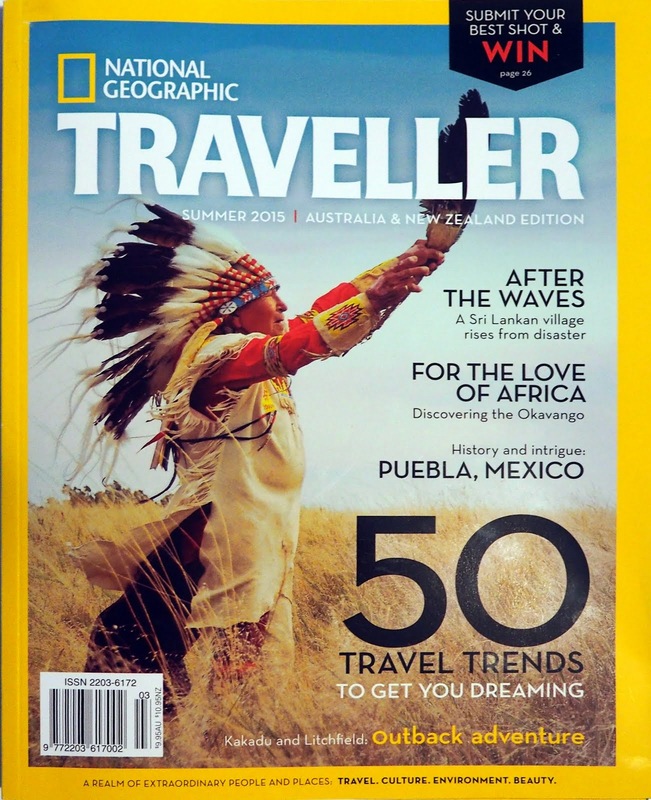 Including people in your photos gives scale to the size of the waterfalls. 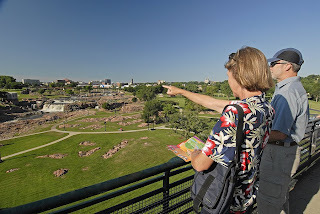 Angles that include the city beyond the park and a great overview of the area can be found at the top of the observation tower. All the paths throughout the park allow you to work both sides of the river for interesting compositions. Evening light isn't bad, either, as seen in this shot. 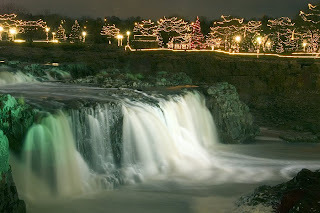 During the Christmas season, Falls Park is decorated with thousands of lights, and the falls themselves are lit with color-changing spotlights. 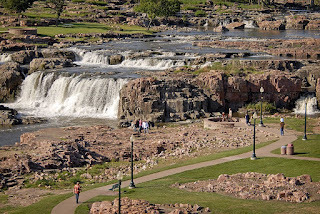 For more information, check http://www.siouxfallsparks.org/ContactUs/public_parks/falls_park. 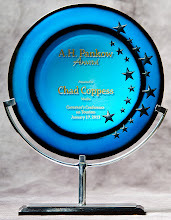 Chad -- I love this blog! Your pictures remind me of everything that I LOVE about our State. Keep up the good work! Thanks Kathy. Hopefully I'll keep coming up with interesting stuff. Lately I haven't had the time to post much, but I've still got lots of ideas.